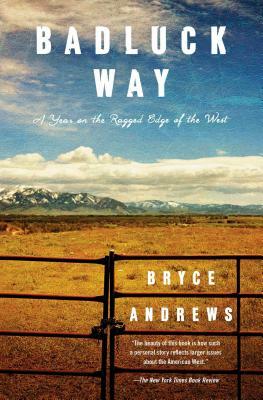 In this gripping memoir of a young man, a wolf, their parallel lives and ultimate collision, Bryce Andrews describes life on the remote, windswept Sun Ranch in southwest Montana. The Sun's twenty thousand acres of rangeland occupy a still-wild corner of southwest Montana--a high valley surrounded by mountain ranges and steep creeks with portentous names like Grizzly and Bad Luck. Just over the border from Yellowstone National Park, the Sun holds giant herds of cattle and elk amid many predators--bears, mountain lions, and wolves. In lyrical, haunting language, Andrews recounts marathon days and nights of building fences, riding, roping, and otherwise learning the hard business of caring for cattle, an initiation that changes him from an idealistic city kid into a skilled ranch hand. But when wolves suddenly begin killing the ranch's cattle, Andrews has to shoulder a rifle, chase the pack, and do what he'd hoped he would never have to do. Called "an elegant memoir" by the Great Falls Tribune, Badluck Way is about transformation and complications, about living with dirty hands every day. It is about the hard choices that wake us at night and take a lifetime to reconcile. Above all, Badluck Way celebrates the breathtaking beauty of wilderness and the satisfaction of hard work on some of the harshest, most beautiful land in the world.